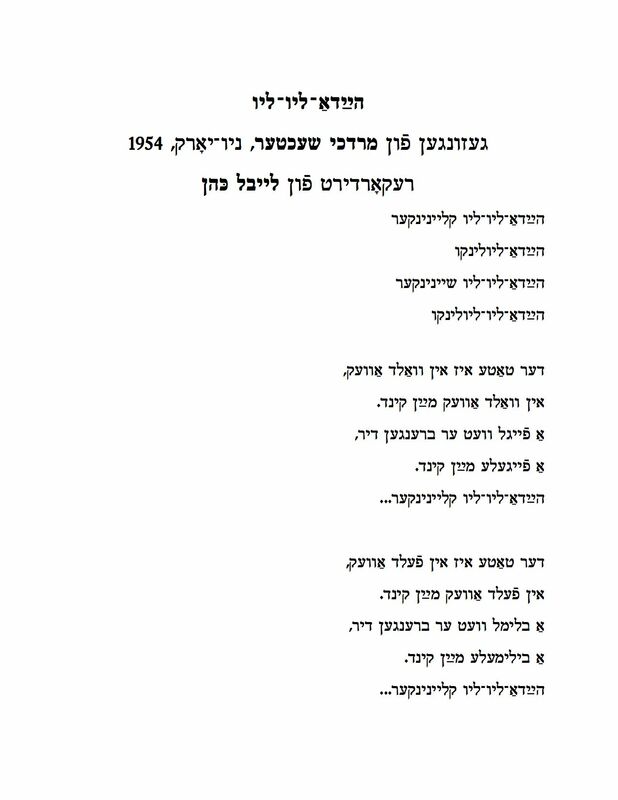 “Hayda-liu-liu” was performed by Mordkhe Schaechter in 1954 in New York and was recorded by Leybl Kahn. 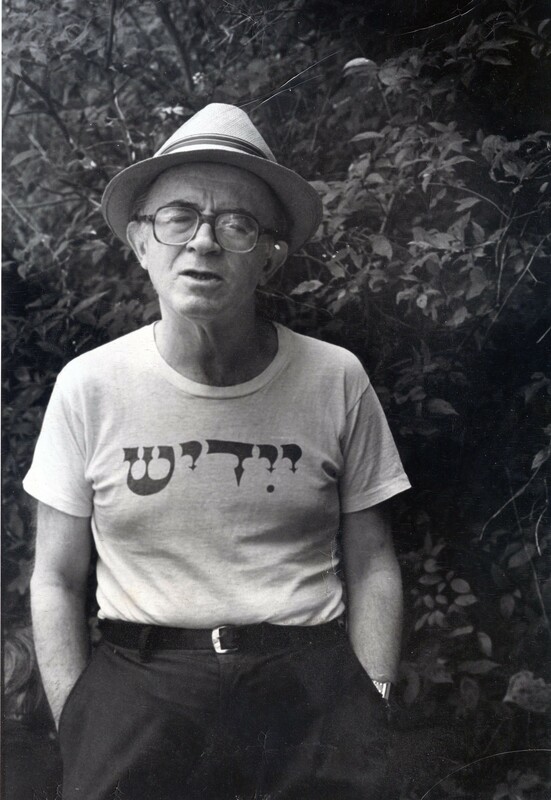 Mordkhe Schaechter (1927 – 2007) was a well known Yiddish linguist, grammarian, writer, master teacher and Yiddishist. He was also my uncle, my mother‘s younger brother and was born and grew up in Chernovitz, Romania. Together with my parents and my grandmother, after the war, he lived in the Displaced Persons camp of the Rothschild Hospital in Vienna, 1947 -1950. 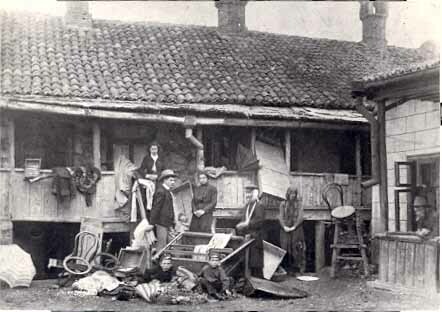 My mother Beyle Schaechter-Gottesman and Mordkhe collected folklore and historical materials among the Jews in the DP camp and sent them to YIVO in NYC. When Leybl Kahn, as a member of the I. L. Cahan Folklore Club, recorded Mordkhe‘s mother Lifshe Schaechter-Widman in NY in 1954, Mordkhe took the opportunity at one session to record for Kahn some of the children‘s folklore material he recorded in Vienna. This week is his fifth yortsayt so this blog entry is in his memory – click here to read his obituary in the New York Times. Joel Engel (1868 – 1927) was the composer and Yekhil Halperin (or Heilperin) (1880 – 1942), the Hebrew lyricist. 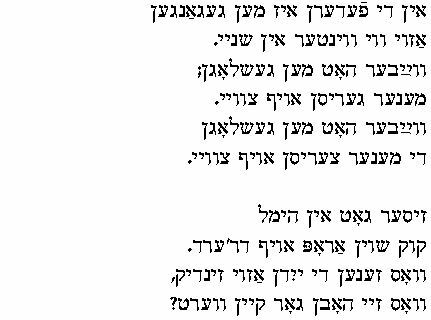 It is generally acknowledged that Engel used a Yiddish lullaby as the melody but I cannot find a recording nor a printed version of the Yiddish original. I am hoping the readers of the YSW blog will help me out on this one. 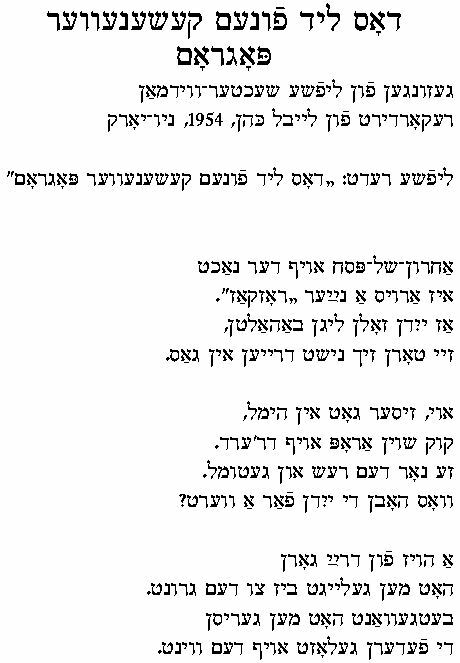 The lyrics of Numi, Numi (Halperin‘s lyrics) are similar to what Schaechter sings – click here for the Hebrew words. 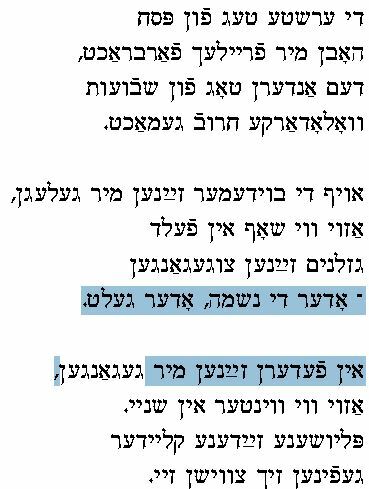 But since Halperin‘s words were put to Engel‘s melody in the 1920s, I am hesitant to write that Schaechter is singing the ‟original‟ Yiddish version. Perhaps enough time had passed so that Schaechter‘s version was already influenced by the Hebrew one? in vald avek mayn kind. into the woods my child. a little bird, my child. in feld avek mayn kind. to the field my child. a little flower my child.